Of all of Henry VIII’s six wives, the most beautiful was probably the nubile Catherine Howard. Henry called her his “rose without a thorn”. But she doesn’t appear to understand how her behavior affected others and was easily manipulated by her family. Catherine managed to make a cuckold out of old Henry VIII and it did not end well for her. By the time of his divorce from Anne of Cleves, Henry’s fourth wife, his health was in a terrible state. He was grossly overweight. He suffered debilitating headaches and his legs had thrombosis which caused ulcerous, open sores creating stabbing pain and oozing a malodorous stench. Various medical theories have been put forth such as diabetes, Cushing’s disease or McLeod syndrome which could have caused Henry’s myriad of symptoms and increasingly unstable personality. Henry probably realized at this time there was no chance of him having any more children but he still held out hope of another child and didn’t want to be without a wife. Catherine’s birth date is a matter of controversy but is estimated between 1518 and 1524. Her father, Edmund Howard, was the son of Thomas Howard, the second Duke of Norfolk, making her the first cousin of Anne Boleyn. Her mother was Jocasta “Joyce” Culpeper. Because the Duke of Norfolk had many children, Catherine’s father literally had no inheritance and was reduced to begging for funds just to get by. It was a common practice at the time to send the children of noblemen to live in other noble homes. Catherine was placed under the supervision of her step-grandmother, the Dowager Duchess of Norfolk, at Horsham and Lambeth, and given an education. She was not well educated but did learn to read and write. She also had music and dancing lessons along with all the other girls in the household. It was during her time with her step-grandmother that Catherine had encounters with two young men. Henry Manox was summoned to Lambeth to teach the young ladies virginal and lute. He was immediately smitten with Catherine and probably wanted to marry her. Witnesses say they were seen in embraces and kisses. Eventually Manox got a teaching job in another household and the affair tapered off. She also met one of the gentlemen retainers of the household, Francis Dereham. This affair was more serious than the Manox incident. Other women in the dormitory where they slept witnessed Dereham in Catherine’s bed, having carnal relations. Catherine and Francis may have agreed to marry each other before her step-grandmother put a stop to the relationship in 1539. Catherine’s uncle found her a position as lady-in-waiting to Anne of Cleves and this is when Henry noticed the beautiful young woman. The Howard family was actively advocating for Catherine to marry the King. By the time Henry had procured the amiable divorce with Anne of Cleves on July 9, 1540, he had already decided Catherine would be his next wife. The marriage took place on July 28th. Catherine and her family were gaining influence and power and Henry showered them with gifts of land, money and jewels. By early 1541, it is believed that Catherine began a sexual relationship with Thomas Culpeper, a favorite courtier of Henry’s. She had become acquainted with Thomas while a lady-in-waiting for Queen Anne and may have considered marrying him before Henry took notice of her. In the summer of 1541, Henry and Catherine toured northern England. While on this tour, Catherine and Culpeper had secret assignations with the help of her lady-in-waiting, Jane Boleyn, the widow of Anne Boleyn’s brother, George. By the time the court returned to London, rumors of Catherine’s indiscretions prior to her marriage to the King were beginning to surface. Catherine’s alleged adultery with Culpeper eventually came to light also and the Archbishop of Canterbury, Thomas Cranmer, wrote a letter to Henry, telling him the truth about his Queen. Henry was devastated. He asked Cranmer to investigate. Dereham and Culpeper were most likely tortured in the Tower of London and confessed to adultery with the Queen. Cranmer found a love letter from Catherine to Culpeper so they had definitive proof of her adultery. Catherine was charged with treason and she was confined. She confessed to not being worthy of being the King’s wife but never to being unfaithful to the King. She also denied any pre-contract of marriage with Dereham and insisted he had raped her. The alleged pre-contract with Dereham allowed Archbishop Cranmer to annul her marriage to Henry and she was stripped of her title as Queen in November of 1541. Dereham and Culpeper were executed at Tyburn in December. Catherine languished under arrest until Parliament passed a Bill of Attainder against her in February, 1542. This legislation declared Catherine guilty without benefit of a trial. 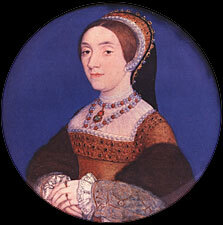 She was found guilty of treason for not revealing her sexual relationships prior to her marriage to Henry. The night before her execution, it is said Catherine practiced laying her head on the block. Although she was terrified and had to be helped up the scaffold, it is said she died with dignity. 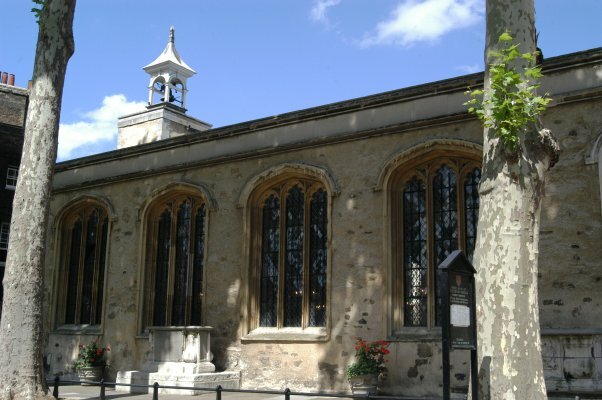 She was beheaded with one stroke on Tower Green at the Tower of London and buried in the chapel at St. Peter Ad Vincula. How times have changed! Or, have they remained the same for women?! I’m not so sure things have changed much!